Jio Tower Scam - Fake Jio Websites Robbing People; Biggest Jio Scam? Jio Tower Scam Is Shocking – Fake Jio Websites Are Robbing People; Is This The Biggest Jio Scam? People lease their land for Jio towers, get scammed by intelligent scammers. Reliance Jio has overtaken Vodafone-Idea, Airtel and other telecom giants in the blink of an eye. With extremely cheap, affordable deals and a wide and strong range, Jio has soon become the apple of everyone’s eyes. Tarnishing the name of this company are some fraudsters, who are duping innocent people of their money through mass-marketing techniques. This is a smart, well-planned conspiracy which is crafted wisely to avoid legal issues as well. 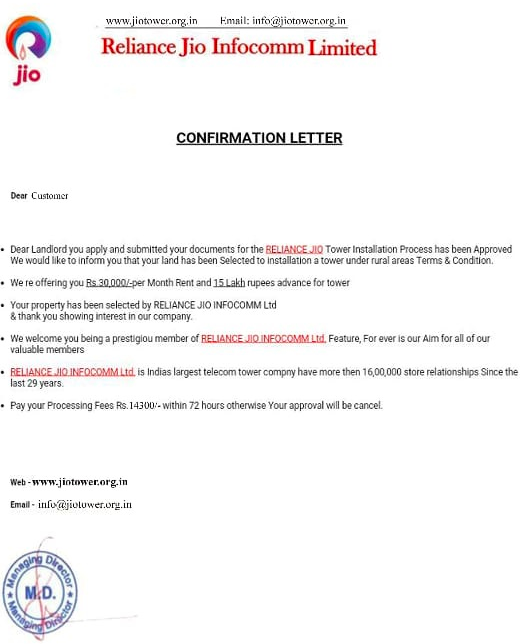 These fraudsters cold-call people posing as the ‘Reliance Jio 4G Tower’ department or send out ‘lottery’ letters announcing the selection of their property for the towers, or send bulk SMSes or send out advertisements through newpapers too. They also have a fake website which uses Reliance Jio’s official logo, name and in some cases, even the colors of the original website. If you type a simple Google Search of ‘Jio Tower installation’ several odd websites will show up. These websites look eerily similar to the original one and it can fool even someone with a sharp eye. The content on the website is extremely well written and leaves no place for any doubt. Once the scamsters target an innocent victim, they call them and ask for verification of personal documents like PAN card, Adhaar card, etc. 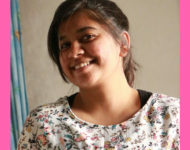 After the victim submits the documents, the victim is asked to pay a ‘small processing fee’, of about Rs. 10 – 50,000. Their tactic to avoid a legal scam is laudable – they ask the victims to submit the bank accounts which are in the names of common people and not Reliance. After the deed is done, they take care to change their respective phone numbers and go off the grid completely. Reliance Jio has not commented on the frauds publicly but they have taken care to publish a series of FAQs on the telecom tower installation business. To start with, Jio has clearly mentioned that before giving money to any entity, the consumers must check their authenticity with regards to Telecom Service Provider (TSP) or Infrastructure Provider (IP-1) list, provided by the Govt. The entire list can be checked at www.dot.gov.in. Besides, Jio has also stated that using Jio’s name to extract money from innocent citizens is a crime, and such criminals will be prosecuted. You can find the FAQs from Jio right here. Do share your comments, feedbacks right here! "Jio Tower Scam Is Shocking - Fake Jio Websites Are Robbing People; Is This The Biggest Jio Scam? ", 5 out of 5 based on 1 ratings. Top Tech News Today: PUBG Ban, Redmi Note 6 Pro Scam, Honor 10 Lite Launch, Samsung 5G Phone & More!